NPS Poland has a special offer/price for Nikon D3 (for members only). The interesting part: the offer is valid until October 7th, 2009. Is Nikon trying to clear its D3 stock (remember this post)? I also received a report that Nikon dealers in Poland cannot order the AF 85/1.4D lens (currently in stock in the US). Nikon Poland doesn't have any information on the availability of the lens. I know this rumor is getting old, but I am just reporting on the information I received. 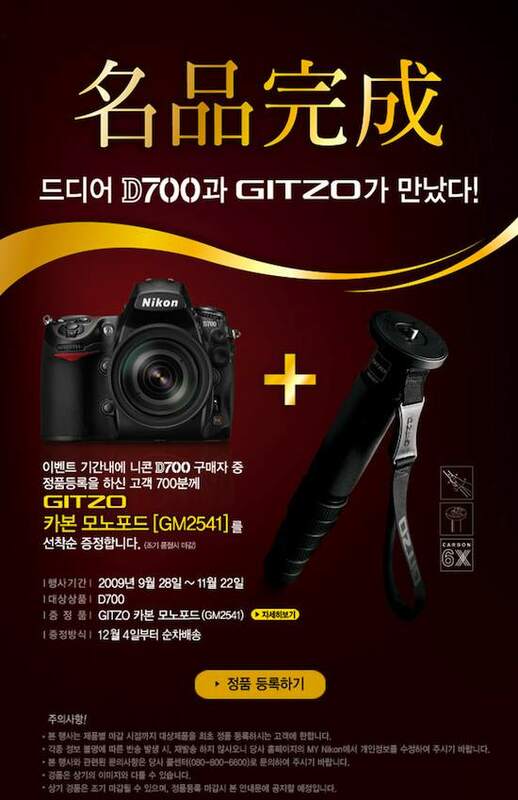 And an update from Korea: Nikon Imaging Korea released a "Nikon D700 + GITZO monopod" promotion: free GITZO monopods for the first 700 people who purchase D700 and register their serial number. 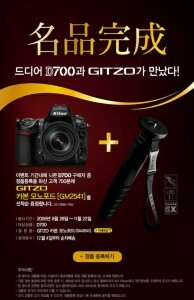 Did Nikon Korea just leak the Nikon D5100?